To understand how a company that is audit ready will capture more market share, we must first understand the basics. What is market share? What is an audit and who performs them? And, how do I ensure that my company is audit ready? Let’s take a look below. MARKET SHARE: Out of the total purchases made by customers for the same product or service in a market (in a country or in a global market internationally), the percentage of purchase that goes to a company is its ‘Market Share’. AUDIT: An audit is the examination and inspection of bookkeeping and accounts by an auditor and compared with the physical verification of the stock/inventory. Auditing is done by auditors. An audit can be done internally or by external auditors to inspect all of the accounting information and bookkeeping in a company. External Audit is done by an external auditing company or by a team of external auditors. All government and private registered firms are bound to get an external audit performed annually. An external audit is done by an independent company. An external audit is according to laws and rules, financial statements, balance sheets, and cash flow statements of a company. The external auditor prepares an audit report after the completion of the auditing process. Audit report information can be used by the investors, government agencies, and by the public. An external auditing company must be a registered and recognized qualified accountancy firm. The information provided by such an accountancy firm as an audit report gives a reliable and unbiased information to its users. To keep an audit ready business, the business must use specific software for managing the accounting and other information of the company. There should be a system of well-established checks and balances in the accounting software used in the business bookkeeping and accounting. 4. Provide all required data to an auditor, but does not allow an editing or deleting option to any auditor. It is better to keep a check and balance in business by carrying out a regular audit. Especially when a company has employees, various offices, many technical works, and where a single person cannot run all the business operations. These are all factors that provide chances of errors in business operations. Weakness in the accounting and financial systems can be made clear after audits. Improvements can be suggested after an audit report. By performing audits, business owners do not have to check or get involved in accounting functions daily. Audits provide a way for business owners to check that accounting functions are running properly per what they are being told. Frauds are minimized. An audit report gives valuable information by which critical decisions can be made such as where internal controls need to be tightened, tax planning, or reducing the dangers of fraudulent practices. An audit increases the trustworthiness and dependability of a business. Information is available to its users. A company that is always audit ready attracts more investors and customers. 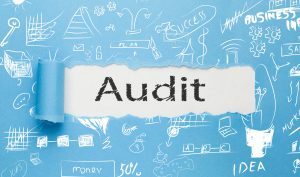 The overall rating of a business is increased after regular audits. Banks, suppliers, and such users prefer companies in which audits are being performed on a regular basis. If the company has insurance, the audited accounts are given more faith. If there are shareholders in a company, audits give a guarantee to shareholders that the business is running a fair and true picture being drawn to them. When purchasing from different companies, the companies with regular audits carry more weight. Bulk purchasers have a greater trust in audit ready companies. An audit ready business provides a true financial status of a company that is very important for foreign entrepreneurs, banks, and investors. Audit ready companies always have up to date accounting data. This account information is always available to its users and auditors. Regular audits ensure clear and transparent accounting information. Wise and confident future decisions can be made easier with regular audits. An audit ready business equates to a business ready to get its market share due to the trust of investors, customers, and legal authorities in that business.